This short two-Test series was scheduled out of the blue a couple of months ago, presumably to allow Sachin Tendulkar, India’s most famous cricket icon, to enjoy a home farewell. Tendulkar will call it a day after a stellar 24-year career, with the second game of this series being the legend’s 200th and last Test. However, notwithstanding the hype surrounding his retirement, it is to be remembered that a Test series is to be played by two teams of eleven each. Two of India’s most popular grounds have been allotted Tests for the series. Eden Gardens in Kolkata will play host to the first Test from November 6-10, while the second Test will be contested at the Wankhede Stadium in Mumbai, Tendulkar’s hometown, from November 14-18. The Windies have played nine times at the Eden, winning thrice and losing twice. At the Wankhede, they have played seven times, winning once and losing twice. Both these venues hosted Tests when the West Indies last toured India in 2011-12 – the Kolkata Test was won by the hosts while the Mumbai Test was a draw with the scores level. Test match history between these two sides stretches back to 1948-49 when the West Indies toured India. Since then, they have played each other in 88 Tests in total, the record reading 14 wins for India, 30 wins for the West Indies and 44 draws. In India too the Windies hold an edge – the head-to-head record being 9 wins for India, 14 wins for the West Indies and 20 draws in 43 Tests. The latest series between the two teams was played in India in 2011-12 where the hosts won the three-Test series 2-0. Prior to that in 2011, India won a three-Test series in the Caribbean by a margin of 1-0. The last time the West Indies won a series against India was at home in 2002, when they won a five-Test series 2-1. The last time they won a Test in India was in 1994-95 while their last series win in India came during their heydays in 1983-84. India partially recovered from the double jolt of eight successive overseas losses in England and Australia in 2011-12 followed by a rare home defeat to England in 2012-13 by hammering the visiting Australians 4-0 in a four-Test series late last season. While their last ten away Tests have yielded zero wins and eight losses, the corresponding number for their last ten home Tests is a relatively much impressive seven wins (two against New Zealand, one against England and four against Australia) and two losses, both coming against England. The whitewash of Australia helped M.S Dhoni’s side to climb back to the second spot in the Test rankings, a position they currently share with England (both at 116 rating points). Darren Sammy’s West Indies have shown signs of improvement of late and though they currently occupy the sixth place on the table, they are only four points behind 4th-placed Pakistan and just two points behind 5th-placed Australia. The Windies are in the midst of a rare streak of wins – they have won all of their last six Tests – two each at home against New Zealand and Zimbabwe with two wins in Bangladesh in between. However, their record against top teams overseas has been utterly disappointing indeed – one would have to go back to 1994-95 for their last away series win (except Zimbabwe and Bangladesh), when they won in New Zealand. Their last away series against a higher-ranked nation was in 2012 when they lost a three-Test series in England by 2-0. 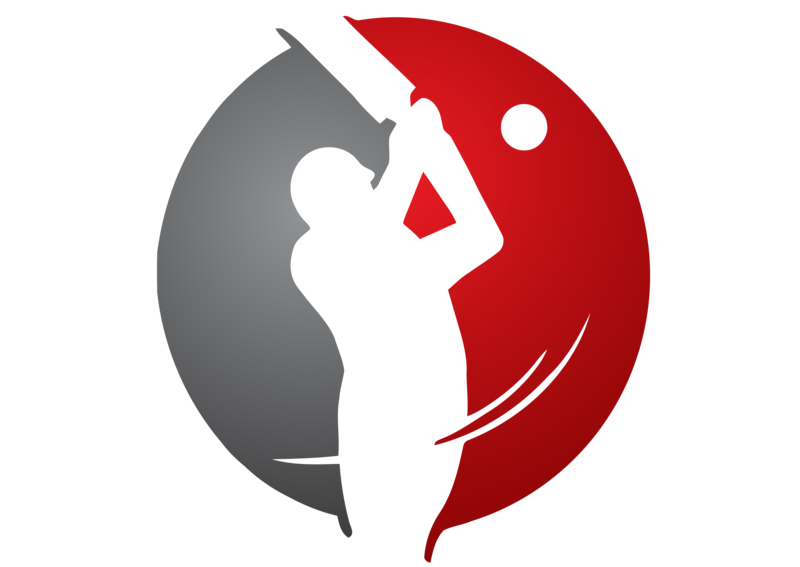 Spin is expected to dominate both the Tests, but the importance of fast and medium-fast bowlers, especially with the old ball, has often been underlined in sub-continental conditions. In this regard, India have the promising young right-arm medium pace bowler Bhuvaneshwar Kumar. 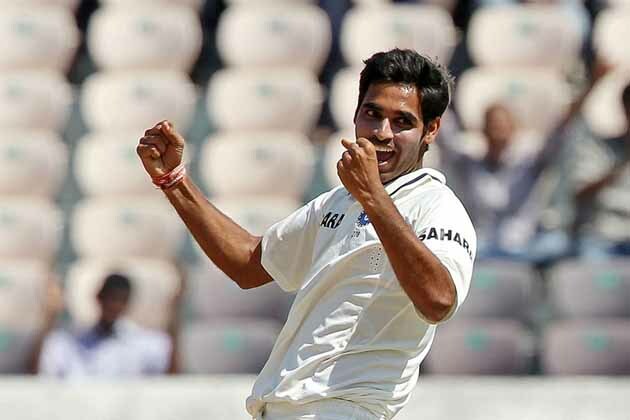 Kumar debuted in the home series against Australia late last season and was impressive in conditions not conducive to pace bowlers – his six wickets in four games does not seem anything special, but he regularly unsettled the top-order with his commendable accuracy and decent swing. After just one series, he has become India’s first-choice pace bowler, and the fact that he was the only Indian bowler not to be pummelled on the batting beauties in the recent ODI series against Australia means that he can hold his own in any situation. India will be expecting a few early strikes from him. The West Indian batting line-up seems to be stronger in terms of experience than the last time they toured India, and as always the fulcrum which supports it is the evergreen Shivnarine Chanderpaul. In the Mumbai Test, the spotlight will be on Tendulkar, but let not be forgotten that ‘Chanders’ will be playing his 150th Test there. Even at the age of 39, his hunger for runs has remained intact – he has scored three hundreds in his last five Test innings and was in good nick for Derbyshire in the County Championship, not to mention a century in West Indies’ just-concluded three-day tour game. Chanderpaul is the fourth-highest run getter against India in Tests, having made 2038 runs (7 hundreds) at 65.74 in 23 matches against them, and it should be no surprise if he makes merry this time around as well. 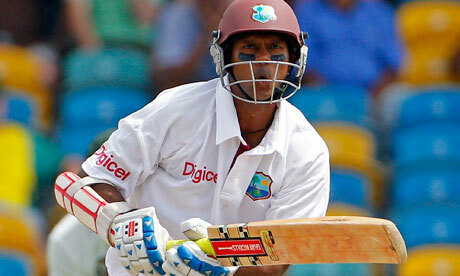 After the retirement of Tendulkar (debut 1989-90), Chanderpaul (debut 1993-94) will become the player with the earliest debut among current players. I am expecting a hard-fought series, with spinners from both sides expected to play a significant role. The visitors look confident and they should certainly not be taken lightly by India in the frenzy of Tendulkar’s farewell. My prediction – a 1-1 draw. Yet again, the need for a third Test to complete the series will be felt.